Two months ago AMD released a bunch of new CPUs priced between $70 - $120. For the past couple of years AMD has been enjoying the fact that Intel's newest architectures start out at the higher price points, and take their sweet time to trickle down to the common man's socket. With Clarkdale, everything changed. 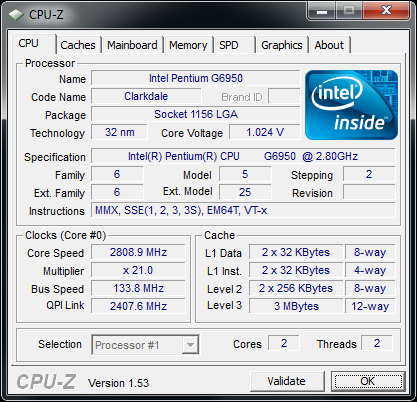 This is a LGA-1156 part based on the Clarkdale core, just like the rest of the Core i3 and dual-core Core i5 line. The chip runs at 2.80GHz, has no turbo support, no AES-NI, no VT-d, no Intel TXT and no Hyper Threading. Intel also disables a portion of the L3 cache, there's only 3MB active on the G6950. 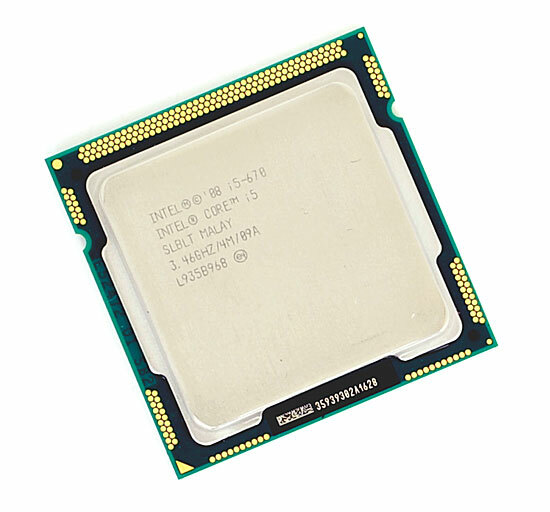 The on-package memory controller is also limited to only 1066MHz, while the Core i3s and i5s support up to 1333MHz. Finally its on-package GPU only runs at 533MHz. At a high level, the Pentium G6950 doesn't look too good. Then again, it lists for $87. Newegg sells it for $96. 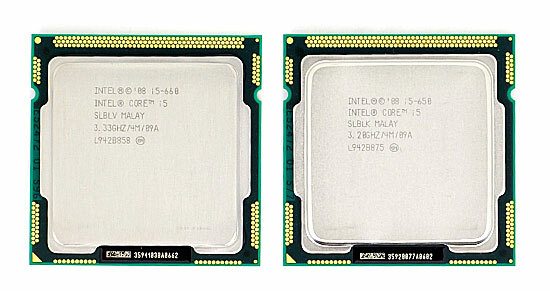 To date we’ve only looked at the Core i3 530, 540 and Core i5 661. Since we’re tying up loose ends today we’ll also include results from the rest of the Clarkdale lineup: the Core i5 670, 660 and 650. The Core i5 660 is just like the 661 we reviewed in January but with a 733MHz GPU clock instead of 900MHz. 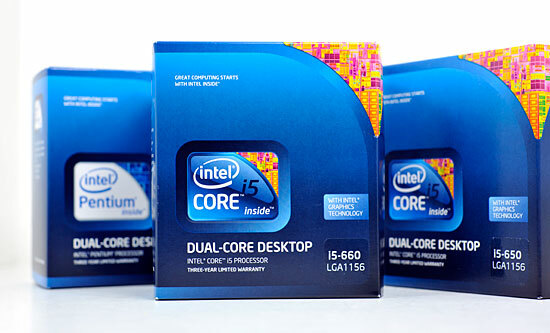 The 650 is the cheapest i5 Intel offers at $176. 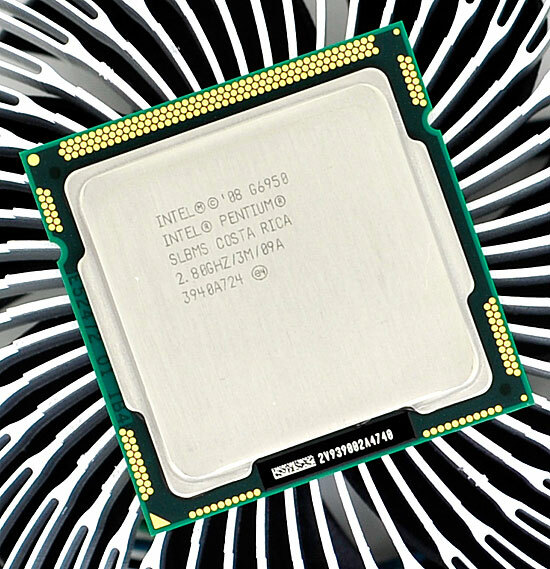 The Core i5 670 is the highest native clocked CPU that Intel ships today at 3.46GHz. It's GPU still only runs at 733MHz though, only the 661 has a 900MHz GPU clock. It's also the most expensive dual core i5 Intel makes at $284. You can get a Core i5 750 for less or a Core i7 860 for the same price. This is clearly a chip for a very specific niche market that needs excellent performance out of two cores and integrated graphics.